Adequate fluid balance is paramount to health and maintenance of mind and body, just two percent dehydration can cause significant loss of productivity and create stress on the body and result in the release of free radicals, which can have numerous harmful effects. Common reasons for dehydration are decreased water intake, too much sun exposure, illnesses, increase in water loss, alcohol consumption alone or combined with any of the above. Applying innovative western medicine to an eastern philosophy of balance, Reviv helps restore equilibrium through vitamin-infused IV therapies to combat and to treat the effects of dehydration, strenuous physical activity, ageing, sunburns, fatigue and other factors. 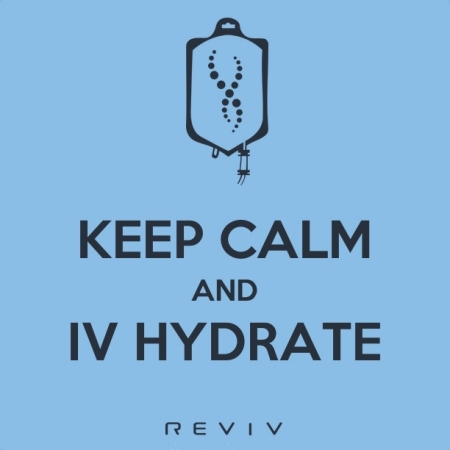 Developed by a team of physicians, Reviv offers the benefits of simple intravenous (IV) treatments infused with antioxidants, vitamins and a combination of medications to replenish, revitalise and rehydrate one's body back to health. Reviv is now available at Dr Xavier G Medi-Spa as a Reviv Express partner clinic and is administered by one of our doctors. 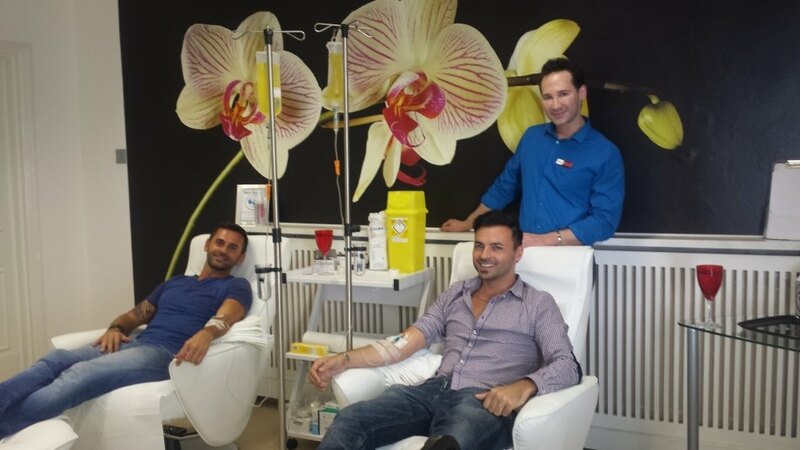 IV treatments aid in enhancing memory and alertness, help detoxify and cleanse the body, reduce viral illness/colds and boost the immune system, add shine to hair, skin and nails and are even reported to alleviate depression. In addition, Reviv offers vitamin/anti-oxidant intramuscular booster shots to promote wellness, achieve weight loss and boost energy. All of the Reviv treatments have one common goal, to help our clients become more productive and look and feel their best. The human body is amazing and equipped with unparalleled modalities in healing, self-regeneration, and self-defence from millions of years of evolution. This complex system functions optimally when in balance. Unfortunately, there are various factors that disrupt this delicate equilibrium and is manifested in ways that make us feel fatigued and run down. Medical professionals routinely recommend an intake of 8 glasses of water daily for health maintenance. This minimal requirement is often not enough when faced with increased fluid loss, consequently, many people are dehydrated without even knowing it. Simple solution, drink more fluids!!! But this simple solution is not always as easy to achieve with the lifestyles and choices that people make. The alternative is intravenous or IV hydration. Most health care practitioners are aware that the majority of patients that present to a hospital setting are provided with intravenous fluids. Why can't patients just take in oral fluids? There are many reasons, ranging from lack of desire/inability for oral intake, to decreased absorption. Oral intake must first undergo absorption from the intestinal tract and subsequently gets broken down by the liver before actually getting absorbed into the blood stream and beiong delivered to the target cells and tissue. Consequently only a fraction of orally ingested products, whether it be fluids or nutrients, actually gets delivered to its target. This amount can actually be minuscule to non-existent in certain imbalanced physical states or in people that have undergone procedures such as gastric bypass. The end result is malnutrition and dehydration. While most healthy individuals do not face obstacles as severe as patients in a hospital, many still suffer varying degrees of symptoms. Once the tubing and fluids are connected, drip by drip, the Reviv solution works its magic. Various mixtures have been created based on research and decades of clinic experience and contain IV electrolytes, vitamins, antioxidants and other compounds with one common end goal, to flush out toxins, balance electrolytes and hydrate various cells and body organs. Intravenous hydration bypasses the barriers listed above and directly delivers the treatment to its target. Reviv intravenous treatments combined with intramuscular boosters have various applications when structured in a regimen. The combination is extremely effective in combating and preventing mild illness/allergies, reducing fatigue and improving mental clarity, enhancing physical performance, augmenting productivity, promoting weight-loss. Athletic activity drains the body of hydration and salts and generates toxins. HYDROMAX rebalances your body with fluids fortified with electrolytes and antioxidants to maximise athletic performance. Sleep deprivation, excessive workload, jet lag, dehydration, and overindulgence of nightlife can often result in fatigue, decreased concentration and you feeling run down. ULTRAVIV refreshes your body to help you recover from the toughest of days and nights. To radiate on the outside, you must be balanced on the inside. Our signature vitamin infusion, MEGABOOST restores your body with minerals, different anti-oxidants, electrolytes to bring your body back into equilibrium, maximising your productivity, leaving you feeling health and refreshed. Beauty is more than just skin deep. VITAGLOW rejuvenates your skin with a vitalizing master anti-oxidant to help you glow and stop time in it's tracks. Living life to the extreme calls for the ultimate recovery. Our premium infusion ROYAL FLUSH combines the recovery benefits of ULTRAVIV with the cleansing effects of MEGABOOST giving you maximum productivity and detoxification. Without argument, the fastest and most efficient way to deliver wellness agents is through direct introduction to the blood stream. When a person consumes water, energy beverages or takes vitamins orally, the body only absorbs approximately 55% as it passes through the digestive tract. Introducing wellness agents via IM booster shots, the body absorbs 100%. The result is a person not only gains 100% of the benefits, but they do so quickly and efficiently. Daily routines can be energy draining. Vitamin B-12 recharges you giving yu the energy you need to tackle life. Maximise your energy and fitness. Our SLIMBOOST Booster Shot contains vitamins, amin acids and anti-oxidants to keep you active and productive. Wellness and balance are keys to maintaining a healthy lifestyle. VITABOOST's master anti-oxidant is the glue that keeps all vitamins working together to help your body function at it's best.